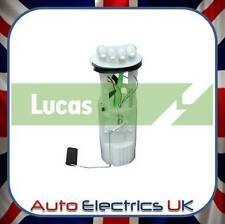 Lucas Fuel Pump FDB1102 Replaces WFX000180,WFX000181,E10592,0986580131,FE1008812B1,38312,FP3014,7506864,76864,38312,3950730,395554,V200904361. Cross ReferenceE10592,0986580131,FE1008812B1,38312,FP3014,7506864,76864,38312,3950730,395554,V200904361. This is as far as I know unused pump for a 2.5 normally aspirated diesel Land Rover. It needs a solenoid as I used it for another vehicle turns freely. Been clearing out the shed and think it may do a good turn for some one. Thanks for looking and happy bidding Ps collection only because of the weight. WFX000280, WFX101080, WQC000220. LUCAS FUEL PUMP. Part Manufacture: LUCAS. Land Rover. Application: LAND ROVER (Various Models). 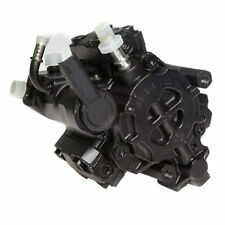 Part Number: FDB1124. 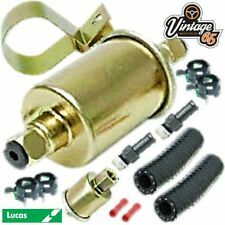 Lucas Fuel Pump FDB1186 Replaces WFX000250,WQB100410,WQC000200,FP5325,77391,39235,3950234,228226004006Z. Lucas Glow Plugs. Lucas Oxygen Sensor. Exhaust Temperature Sensor (EGTS) Exhaust Gas Temperature Sensors monitor selective catalytic reduction (SCR), turbo boost, exhaust gas recirculation and the diesel particulate filter (DPF). Lucas Fuel Pump FDB1158 Replaces WFX000200,WFX106480,WFX500070,FP5327,7507022,VE523037,77022,72600,39237,3950236,228214004001Z,V48090001. Lucas Glow Plugs. Lucas Oxygen Sensor. Exhaust Temperature Sensor (EGTS) Exhaust Gas Temperature Sensors monitor selective catalytic reduction (SCR), turbo boost, exhaust gas recirculation and the diesel particulate filter (DPF). FOR LAND ROVER FREELANDER I. This is an original quality part manufactured by Lucas. Fitting Position:Fuel Line. Vehicle compatibility. PART CHOICE ALERT. Lucas Fuel Pump FDB1124 Replaces WFX000280,WFX101080,WQC000220,E10731M,FP5324,7507124,VE523057,77124,39234,3950233,228226004001Z. Cross ReferenceE10731M,FP5324,7507124,VE523057,77124,39234,3950233,228226004001Z.